Steam Cloud has been suggested as a cause of a major bug - it is recommended this is disabled before play. Easily moddable, having also quite an active modding community. Includes a wide variety of video options, along with native multi monitor support. Features two benchmark scenarios. Complete Edition including all the DLC. Standard Edition also available. Go to <path-to-game>\Video\ on Windows or <path-to-game>/share/data/video/ on OS X and Linux. Delete or rename intel_sting.bk2 and sting.bk2. A secondary monitor can be used to show race statistics. Intel's WiDi is also supported. If you are using a multi-monitor resolution in-game the secondary monitor can't be part of the spanned resolution. In most cases, Windows mods only need to be extracted into the game folder or the data folder. On OS X and Linux, the mod data should be extracted into <path-to-game>/share/data. 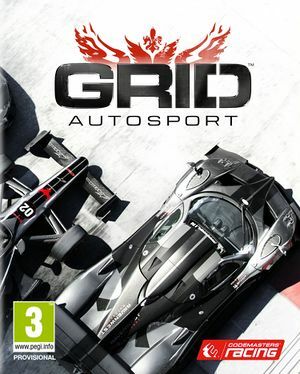 On Windows, replay data is stored in %PROGRAMDATA%\Codemasters\GRID Autosport\. 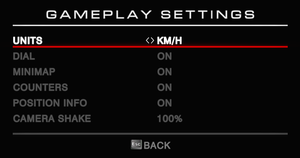 Regardless of where the game is installed, it will attempt to use the %PROGRAMDATA% area to store the in-game replays. The game will work with a Windows NTFS junction point, allowing the folder to be mapped to alternate locations/drives. On Windows, non-spanned displays can also be used for a second screen experience. See Multi-monitor. 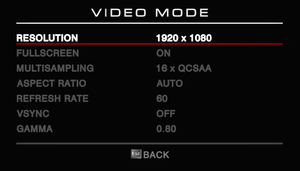 Can be modified in eyefinity_cameras_adjustments.xml. Low, High, Ultra or Off. CMAA, MSAA, CSAA (Windows only), QCSAA (Windows only). Force feedback is only supported with certain wheels. Support may vary depending on OS used. 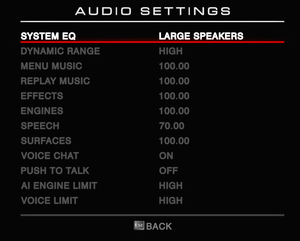 Menus, replays, effects, engines, speech, and surfaces. Not all can be muted or fully changed. RaceNet online features require a Codemasters Account which can also be registered while playing. LibOVRWrapper with Revive Compatibility Layer with might work. DK1 and DK2 only. Oculus Runtime 0.6. For CV1, LibOVRWrapper might work for this game. Although officially declared as resolved, some users are still reporting issues with save game corruption. Some have reported that disabling Steam Cloud can help. Enter the Steam Library, and right click on [GRID Autosport]. 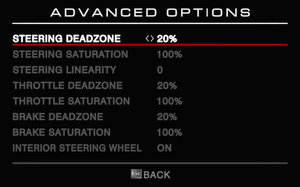 Uncheck 'Enable Steam Cloud synchronisation for GRID Autosport' and Close. Your computer will no longer attempt to sync your saves with the Steam Cloud. Intel and AMD GPUs are not supported.